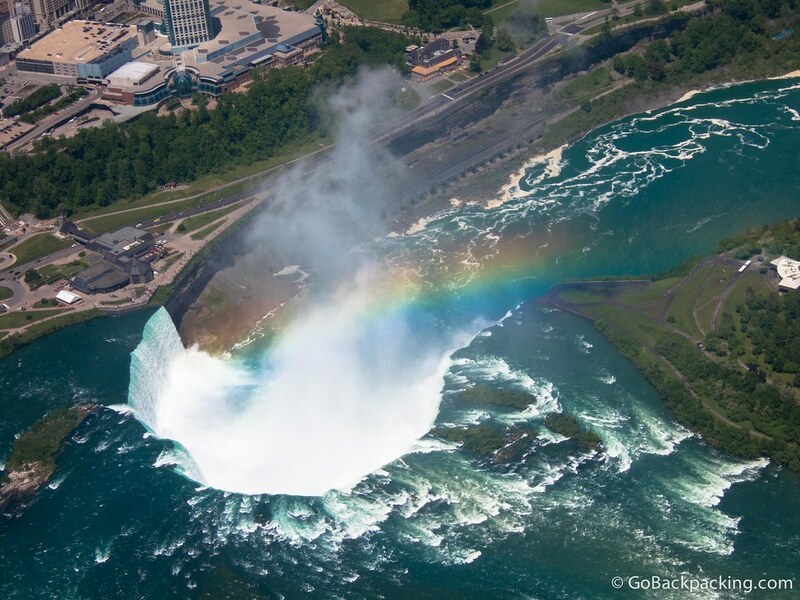 At 165 vertical feet, they aren't the world's tallest, but the three waterfalls which make up Niagara Falls have the highest flow rate in the world. 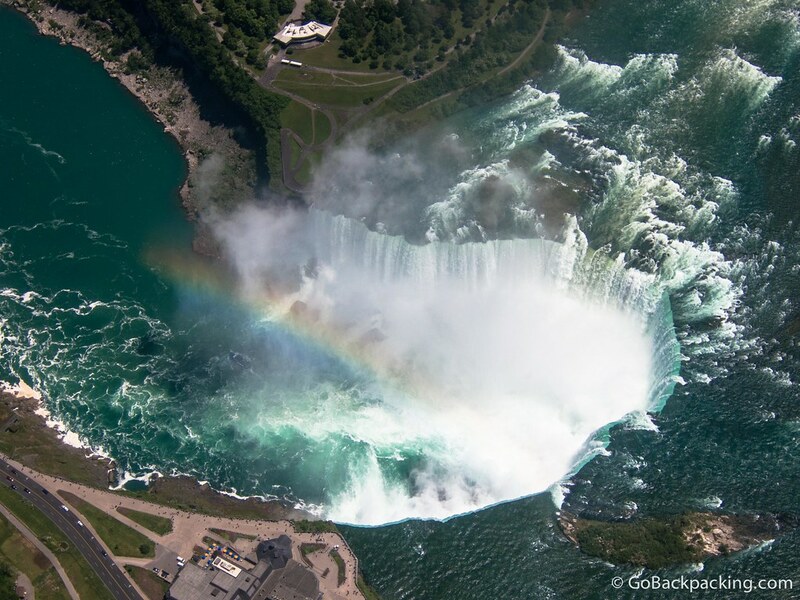 In the high water season, we're talking more than 6 million cubic feet of water flowing over the edge, per minute. 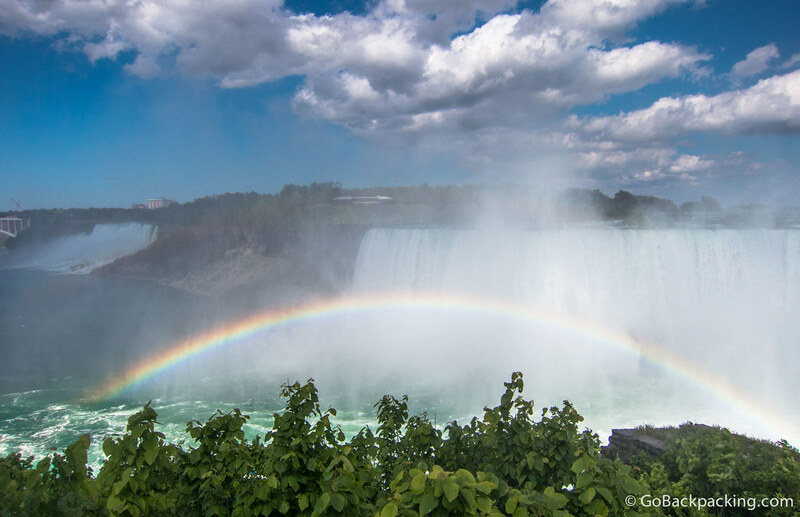 After wrapping up this year's North American TBEX conference in Toronto, I took a day trip to Niagara Falls. Overall, I felt like I saw Niagara Falls from every possible angle. 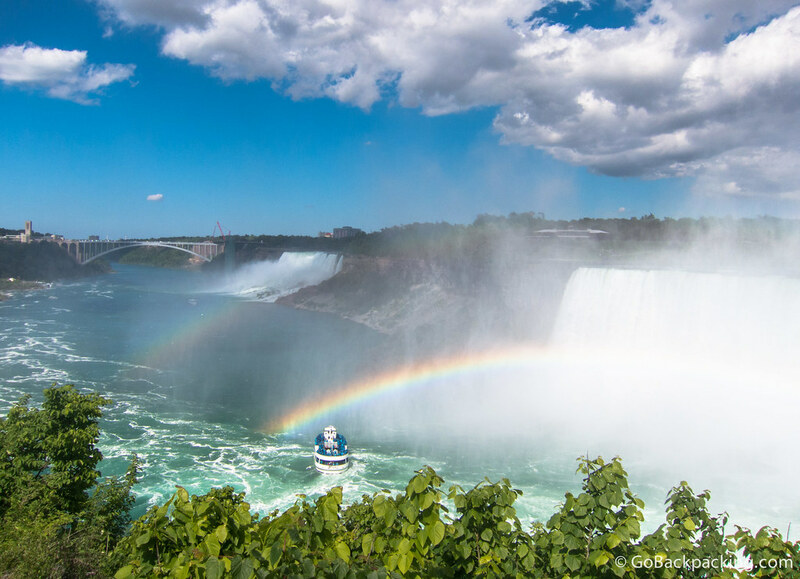 You haven't been to Niagara Falls until you've taken a ride on the Maid of the Mist boat which travels past all three waterfalls. 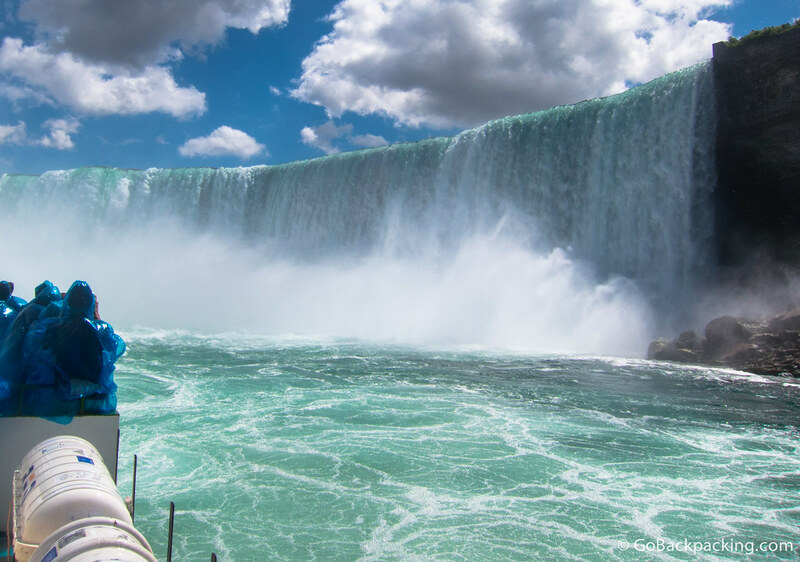 In this photo, we're getting wet under the Horseshoe Falls. 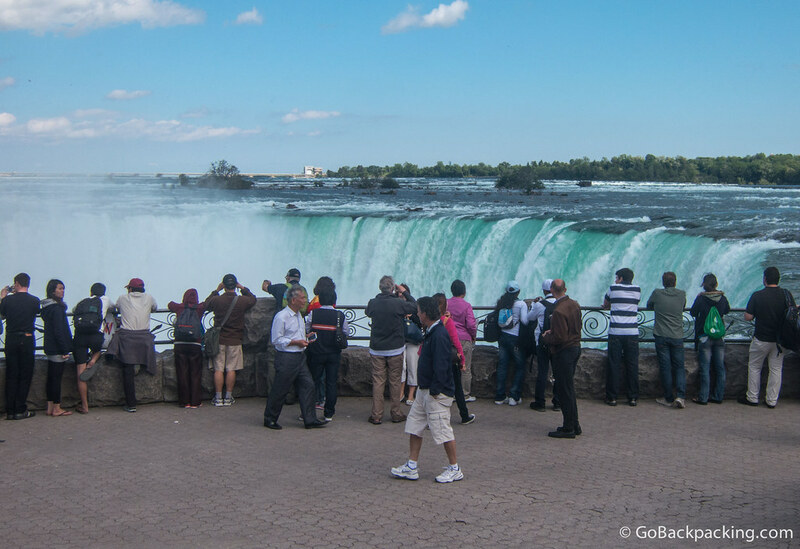 By foot, you can get extremely close to the edge of the Horseshoe Falls. 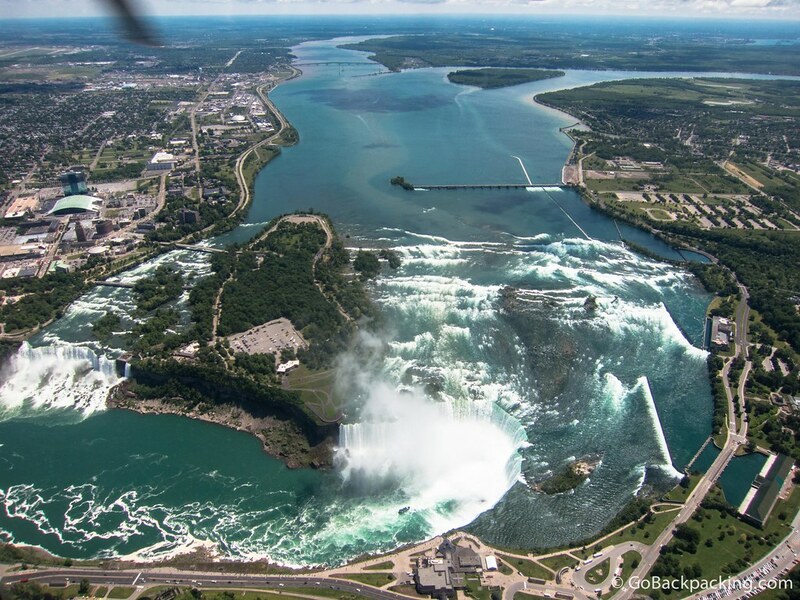 It's hard to believe anyone could survive a drop over the falls, but many people have lived to tell the tale. Horseshoe Falls lookout point on the Canadian side. This scene reminds me of the scene in Superman II where the boy falls over the edge. A double rainbow. I like how the bridge in the background arches in the same way as the two rainbows. 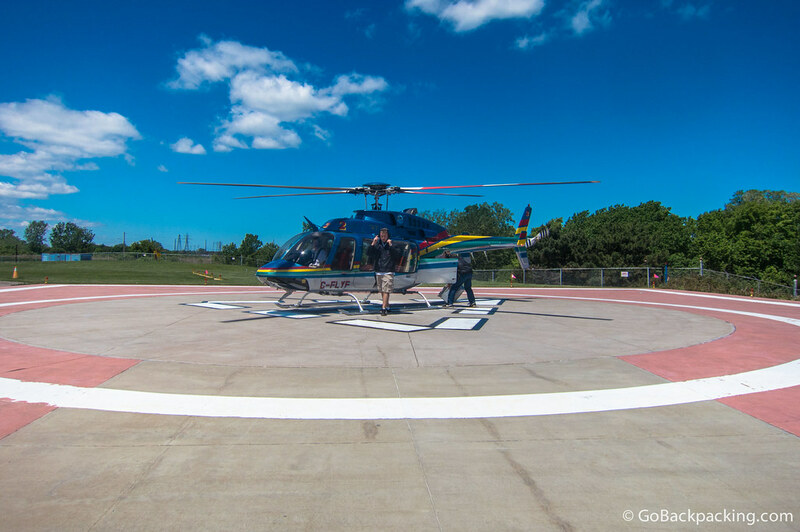 This tour was provided in partnership with Viator (minus the helicopter ride). Wow! Breath-taking photos. 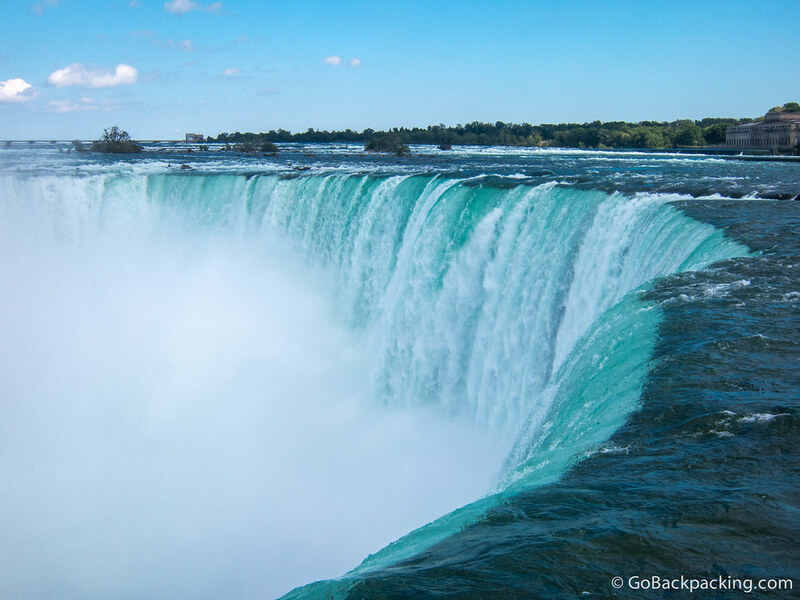 This is indeed one of the most beautiful falls in the world! Next, you will have to visit in every season! Great photos btw, but to me, the falls are also spectacular in the winter when the mist freezes! I bet it’s amazing in the Fall, with the changing leaves. Thanks Cam — we lucked out with the weather. I found Niagra falls to be slightly disappointing. Sure, the waterfall itself is quite magnificent, but the setting is just awful. The tacky hotels looming over the falls, all vying for the best spot along the shore line. It took the specialness out of it for me. Did you view it from the US or Canadian side? The development is very kitschy, but it didn’t take anything away from my experience in and around the Falls themselves. If I was viewing from the US side, and saw the buildings in the background, I might’ve felt the same. From the Canadian side, you have your back to them the whole time. Beautiful images. Especially loved the aerial shots. The helicopter ride indeed seems to be worth it. Those are some impressive shots. 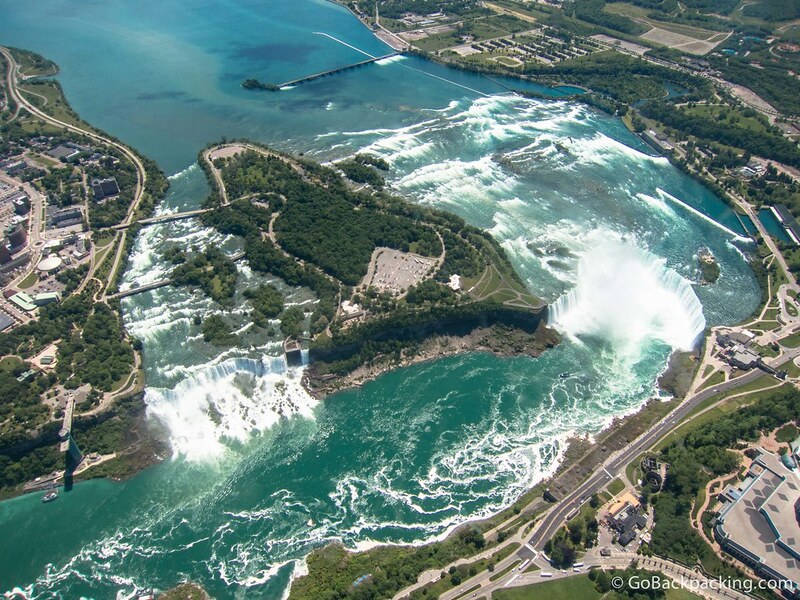 I haven’t been to Niagara since I was 8; think it’s about time to head back. 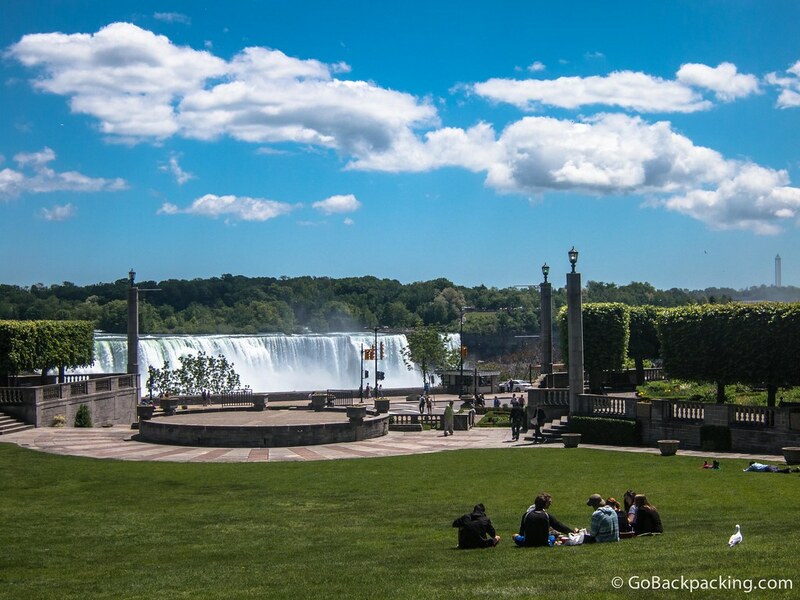 Wow Its such beautiful and eye catching photography of Niagara fall as well as specially I like the viewed from a park across the river. Its too good. Amazing photos was at the Iguazu Falls last year which was amazing will defiantly be making of visit here and trip to Canada next year, we got a great package with Tour America something I have been planning for a while now.